Ready to start a blended-drink program? The EZ600 blender is a great way to start. Incorporating features of more expensive machines, the EZ600 Blender delivers heavy duty blending power and performance, at an affordable price. The powerful 1560watt / 6.5amp motor has 30 pre-programmed blending cycles available, select the blend cycles best suited to your needs and assign them to the keypad. 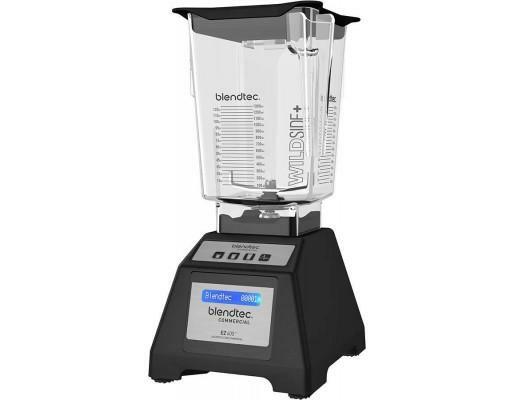 Blendtec's exclusive technology makes blending simple: when you push a cycle button, the blender automatically speeds up and slows down, then shuts off when the cycle is complete. This means staff can attend to customers or complete other tasks whilst a drink is blending to perfection, which, saves time and labour costs. There are no hassles with timers, cumbersome buttons and knobs. Every Blendtec blender motor comes with a flat, sealed touchpad. The jar design reduces sound associated with normal jar operations and allows for wet or dry blends. 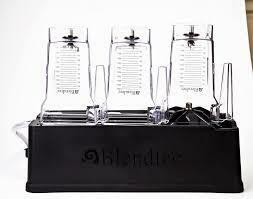 Many other blenders on the market require one jar for wet blends and a different jar for dry blends. The Blendtec unique square jar design and wing-tipped blade pulls the mixture down through the blade, micronising ingredients for the smoothest texture possible. You want your ingredients to blend, not just spin around in circles. Blendtec's square jar forces your ingredients from the blade, up the jar sides and then straight back down to the blade again. 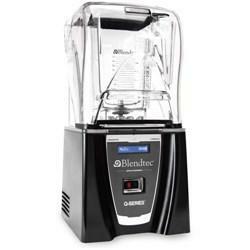 Blendtec's commercial grade motor and patented jar features eliminate the need for stir sticks or tampers. With a wide base for fast food removal and an ergonomic handle the jar makes food preparation fast and simple. The easy to use one-touch keypad activation and the compact size of this blender, combined with the durability and functionality of the FourSide Jars, make the EZ600 Blender, the best value for any business with a low volume demand.